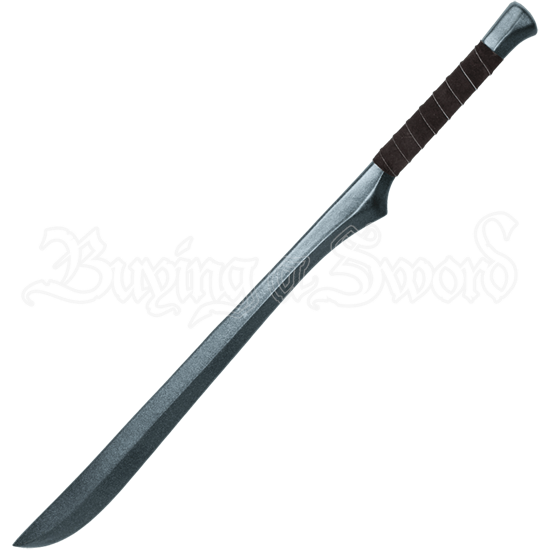 Our medium length fantasy styled LARP Elven Blade is made from extremely durable foam that does not shred and sealed with a strong coating of latex. Safety is always an issue in LARP, which is why these have a round flexible fiberglass core with strong Kevlar core tip protection. 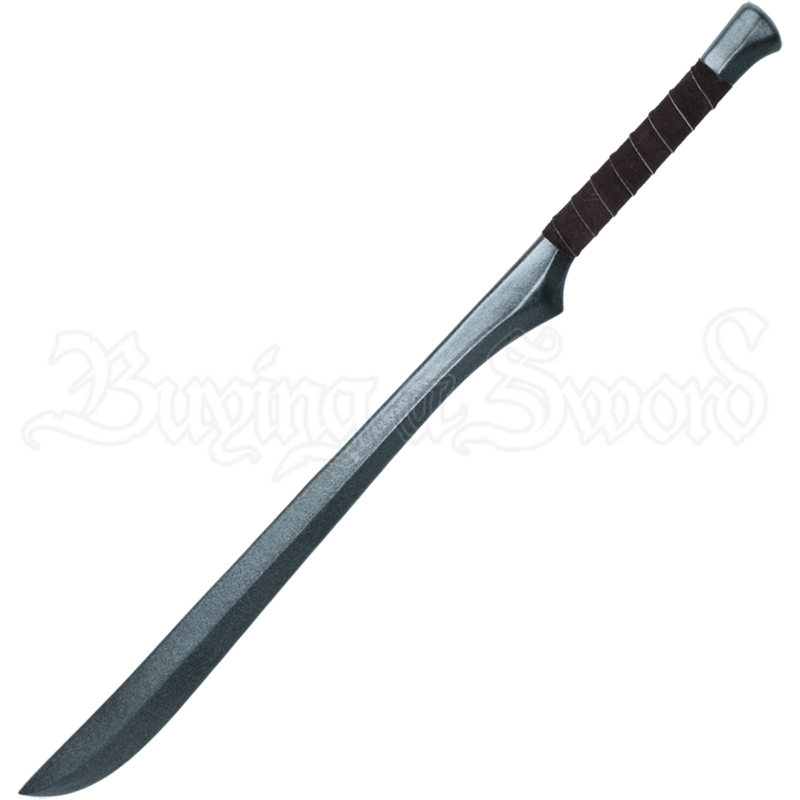 The sword is approximately 33.5 inches in overall length. This measurement will vary slightly as they are handmade items. These blades (I ordered two) are absolutely amazing. They stand up to some very intense battles against even wooden and iron trimmed shields. Not only are they tough, but they are also solid enough to actually stop blows. By far and away I got more than I expected here, I adore these blades and would recommend them to anyone. Overall the weapon is awesome. Its beautiful and it looks just like the picture. I feel like it wasn't properly handled when shipping though. There were dents throughout the blade and at the tip there were small little holes that looked like pin pricks. I would definitely recommend to friends but I just wish it was handled a little better.